Why not start your Christmas shopping early? These key fobs are a perfect teacher gift, stocking stuffer or just because gift. Wrap a few and put them under the tree for the oops presents you forget. And…. even better, Puppy Dogs N Polka Dots is offering free shipping on orders of two or more until November 7. Contact her through her webpage PuppyDogsNPolkaDots.etsy.com so she can set up a sale for you. It looks like we all feel the same. 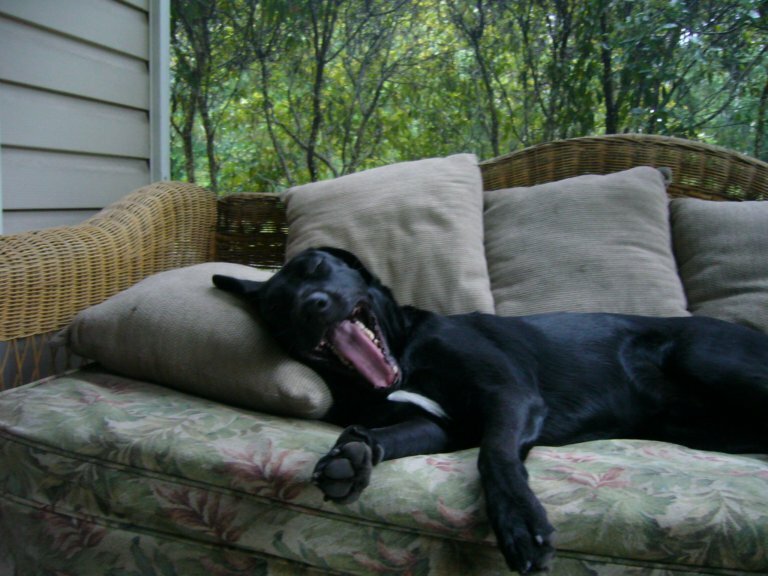 Between football games at two schools and creating more bags, I feel like I could curl right up with Bocephus, my son’s black lab. He is apparently worn out as well. It’s been back and forth between the two schools for a couple of weeks. I just hope I dont get confused and wear the wrong gear for one of the games. I am making it a goal this week, as we have no home games, to have at least one new design up on KeetaCollection.com. 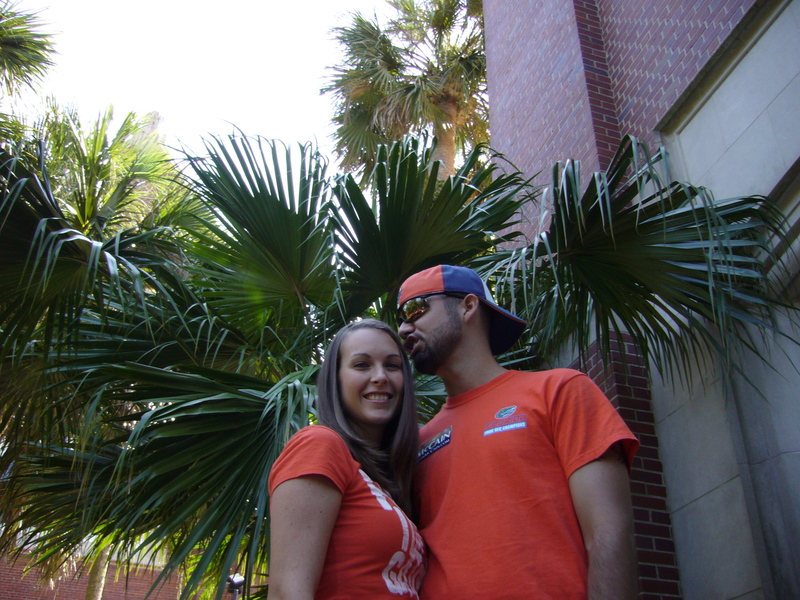 This is my son and his fiance at the Century Tower at University of Florida. Did I mention that not only is she beautiful, she is such a good sport. He tends to be a little, teeny, tiny bit on the goofy side. 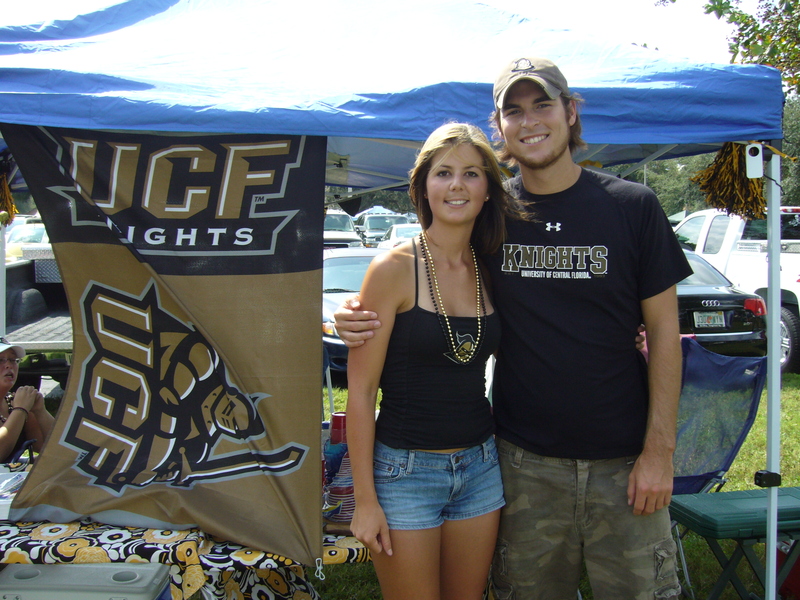 This is my daughter and her boyfriend at a UCF game in Orlando. I know I am the mom, but i have to say it….Aren’t they just the cutest.